Mahindra XUV300 is Mahindra‘s upcoming compact SUV which is scheduled to be launched on 14th of February. The company has already opened bookings for all new Mahindra XUV300 and the deliveries should begin by February end. When launched, Mahindra XUV300 will take on its competition – Tata Nexon, Ford Ecosport and Maruti Vitara Brezza. 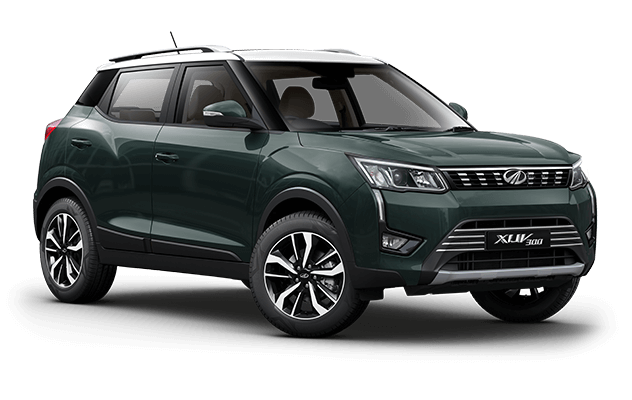 The all new Mahindra XUV300 gets some of the best-in-class segment first features like dual zone climate control with rear AC vents, disc brakes, smart steering with 7-airbags for safety. 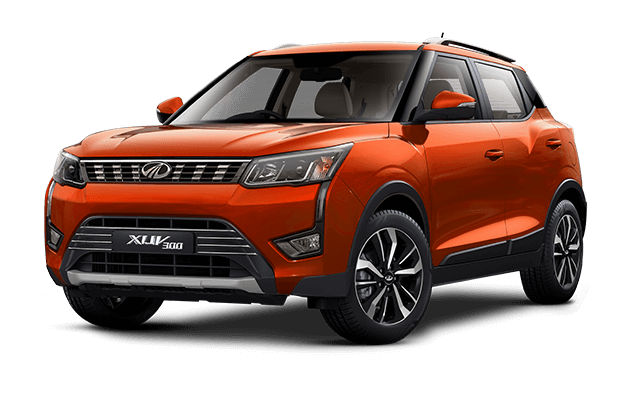 The all new Mahindra XUV300 is offered in Sunburst Orange color. Check out the photo of all new Mahindra XUV300 in Orange Color option (Sunburst Orange). Get Mahindra XUV300 for Test Drive! Provide your details so that we can arrange a test drive of Mahindra XUV300 for you at your city! The all new Mahindra XUV300 is offered in Red Rage color. Check out the photo of all new Mahindra XUV300 in Red Color option (Red Rage). 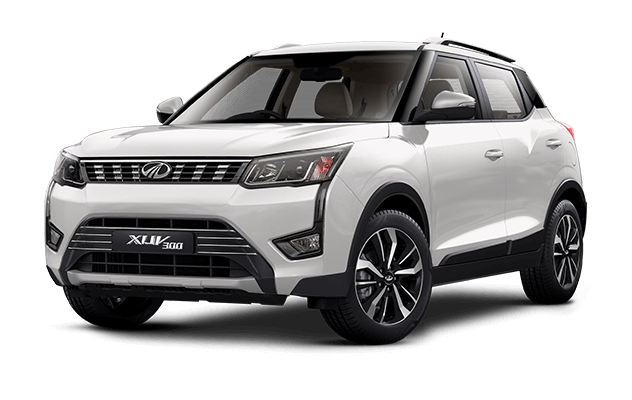 The all new Mahindra XUV300 is offered in Pearl White color. Check out the photo of all new Mahindra XUV300 in White Color option (Pearl White). The all new Mahindra XUV300 is offered in Napoli black color. Check out the photo of all new Mahindra XUV300 in Black Color option (Napoli Black). The all new Mahindra XUV300 is offered in DSAT Silver color. Check out the photo of all new Mahindra XUV300 in Silver Color option (DSAT Silver). The all new Mahindra XUV300 is offered in Aqua Marine color. Check out the photo of all new Mahindra XUV300 in Aquamarine Color option (Aqua Marine). 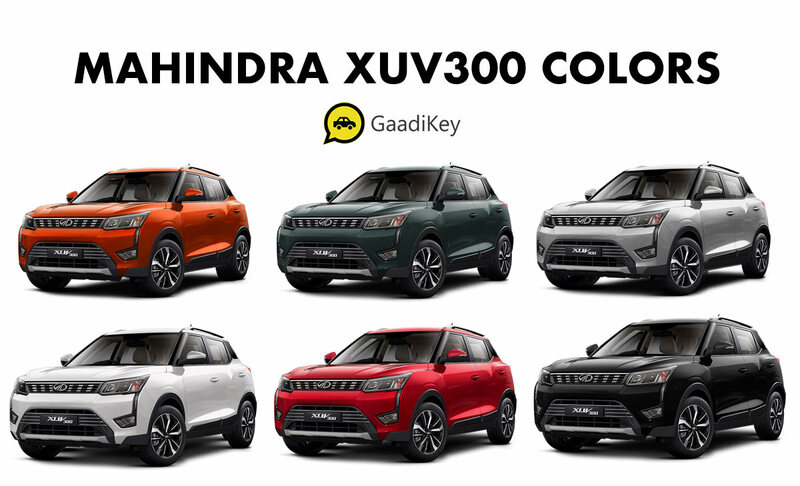 Which colour variant of Mahindra XUV300 would you choose? Read the Detailed review of Mahindra XUV300 Diesel variant. Mahindra XUV300 Promo Video - "Set the Road on Fire"